The game features a single-player campaign and a separate co-op mode for two players locally. The co-op mode lets you replay the same levels from the campaign, but you'll face additional challenges, such as rescuing all the civilians in the level. While the first player can earn stars/medals and progress, the second player is only a copy of the first and just drops in as a second support ship, essentially. 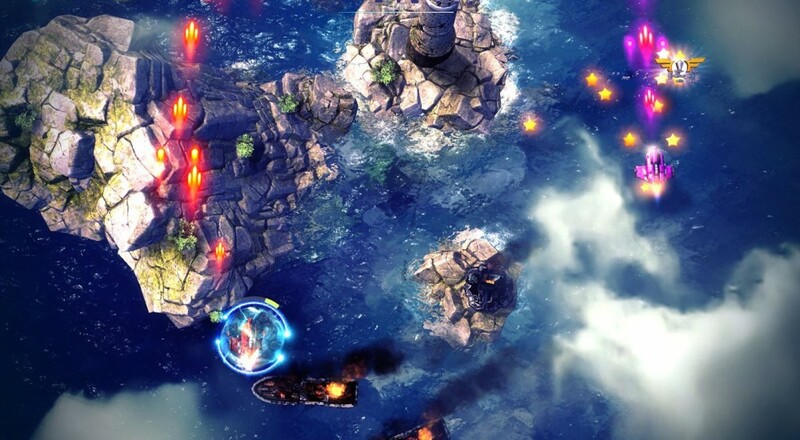 Sky Force Anniversary is available on the Microsoft/Xbox Store for $9.99. Page created in 0.9829 seconds.